Over the past few years, interest in F-Class competition has grown dramatically. SHOT Show opens tomorrow, so we thought we’d reprise an interesting interview captured two years back. 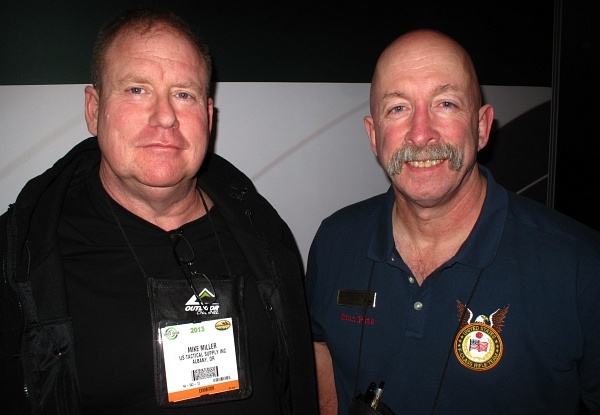 At the 2013 SHOT Show we had a chance to talk about F-TR competition with U.S. National F-TR Team members Mike Miller and Stan Pate, two of America’s top F-TR shooters. We are reprising this interview for readers who may have missed it the first time around. If you shoot F-TR (even if you’re a High Master), we think you’ll learn a few things from this interview. Share the post "F-TR Top Guns Share Their Secrets"